Zimbabwean guide, Craig van Zyl gets so close to elephants that their breaths literally collide between the dust and the sun rays. “I find eles much easier to read than people," Craig tells me over a cup of coffee at his home in Harare. He's been tracking Africa's wild for two decades, and he's never stepped into a situation where he's had to pull the trigger. "The body language of elephants is more honest than humans. They’re not trying to hide how they feel. If an animal is scared of you, or agitated by you, you can see the fear, you can feed off their anxiousness. And once you start to understand what they are feeling, because of what they are exhibiting, you can get much closer." I met Craig through Don Percival, the prolific wildlife film maker in my extended family. 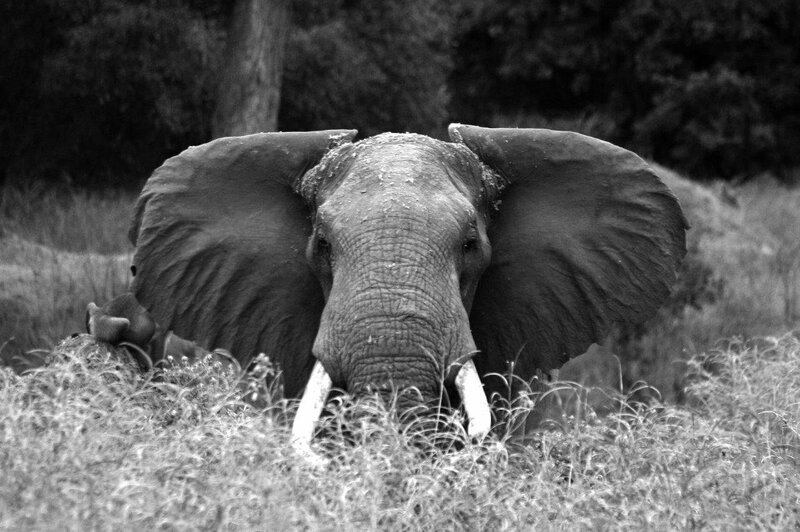 They have collaborated on several projects, most recently The Last Great Tuskers, driven by a determination to draw attention to the diminishing gene pool of these magnificent sentients under the gun of hunters and poachers. Elephants with particularly large tusks are affectionately known as tuskers, and in the case of The Last Great Tuskers film project, Craig and Don were also seeking special qualities that can be passed down through genes. The tuskers Craig and vet Chap Masterson collared were entering their breeding prime, aged between 35 and 40 years, potentially with genes to grow into something exceptional. "Elephants behave and look different depending on their habitat. It's one thing to protect elephants," says Craig, "but if you can make people aware of why we’re protecting them, well that’s even better." With Don behind the lens, Craig and Chap collared three elephant bulls at three National Parks in Zimbabwe; Mana Pools, Hwange and Matusadona. I’ve been on assignments across Zimbabwe since the start of November, and last month I spent a few days at Mana Pools where I met Boswell for the first time, immediately recognisable because of the collar he was wearing. I pull up a photo I took using my iPhone and show it to Craig. "Yes, that's Boswell," he confirms. "He's not going to have massive tusks when he’s older, but he’s a great elephant. 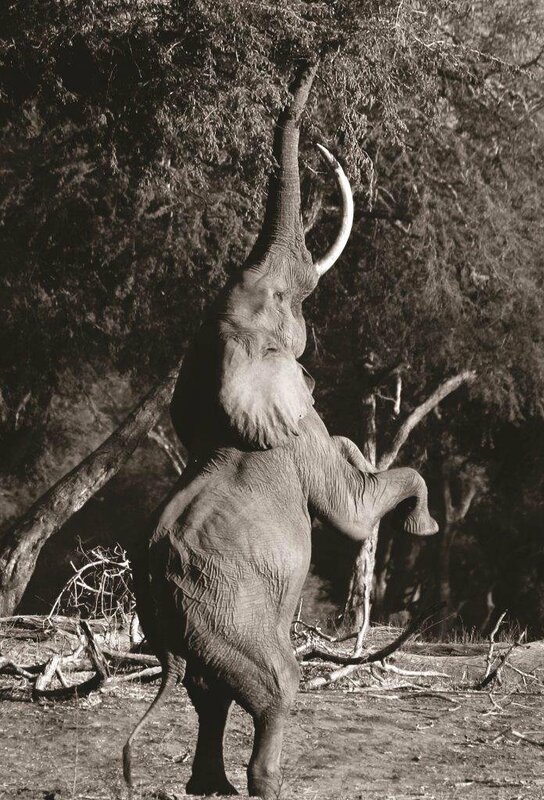 Now here is an elephant that stands on his back legs to reach the highest branches. It’s uncommon. That is a trait of Mana Pools that needs to be protected. And that is why Boswell was our key elephant in that park." As Craig so poignantly summed it up: every elephant is the final elephant in a chain that stretches back 30 million years. That animal is the perfect animal for that area, because everything that has evolved to that point is that animal. 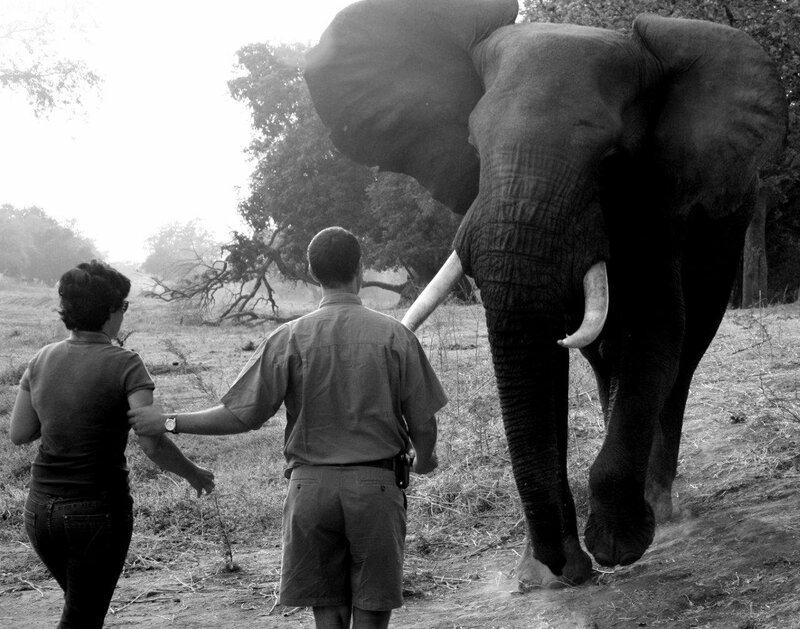 Through Craig's eyes, elephants are not just elephants, just as people are not just people. He sees elephants as individuals, each with distinct personalities. "Elephants are wise," continues Craig, "possibly the cleverest in Africa. People may say chimps, but where people make the mistake in judging the wisdom of animals is they compare it to the wisdom of humans. So we think a chimp is clever because he is similar to a human; he can count and he can use tools. Whereas if you look at an elephant, his wisdom is different; his wisdom is the knowledge of plants, the knowledge of pathways, the knowledge of other elephants, hundreds of them, and how to interact with them. He knows where to be at different times of the year, and he knows how to find water. And a lot of this wisdom is inherited knowledge. Elephants take time to think and evaluate. When you see some of the things they achieve in the bush you begin to recognise the brilliance in elephants." Of course we need to protect all elephants, because all elephants are important, but it's the big tuskers getting targeted for their prized ivory, by both hunters and poachers, and they're getting taken out in their prime. "The Matusadona elephant has huge potential," says Craig. "At 40 years he's already sweeping the ground with one of his tusks. So in 15 years time he’s going to have another 50cm of ivory – he's going to be unbelievable - but I just don't know if he'll make it." "Even with being collared?" I ask, abruptly deflated. "So what exactly does it mean to be collared?" "It means certain people won’t kill him. We can protect him from the hunters. It's unlikely they would take the risk of being named and shamed." I pause for a moment, and my final question slips down the back of my throat, mute and gritted. Collaring makes it more difficult, but to what length is the rich and savage willing to go in order to get what they want? "And if he does get killed," adds Craig. "He hasn’t died for nothing, because he’s created awareness. There is more to the cause than physically protecting that animal. You have to tell the story." - Jamie Joseph is a writer and environmental activist working fulltime on Africa’s poaching crisis. Follow her journey through savingthewild.com on Facebook and Twitter. This is a guest blog and may not represent the views of Virgin.com. Please see virgin.com/terms for more details.